It isn't often you get to launch an entirely new brand. But that's exactly what I had an opportunity to do with Anheuser-Busch and their launch of Bud Light Platinum. Bud Light wanted to establish a completely different feel with this beer, something that immediately set it apart from traditional Bud Light. The feel was to be decidedly more sophisticated as a point of differentiation. We launched with a debut spot during the first quarter of Super Bowl XLVI, a social campaign introducing the use of the hashtag “#makeitplatinum” as well as print, OOH, digital banners, Facebook and of course a website. 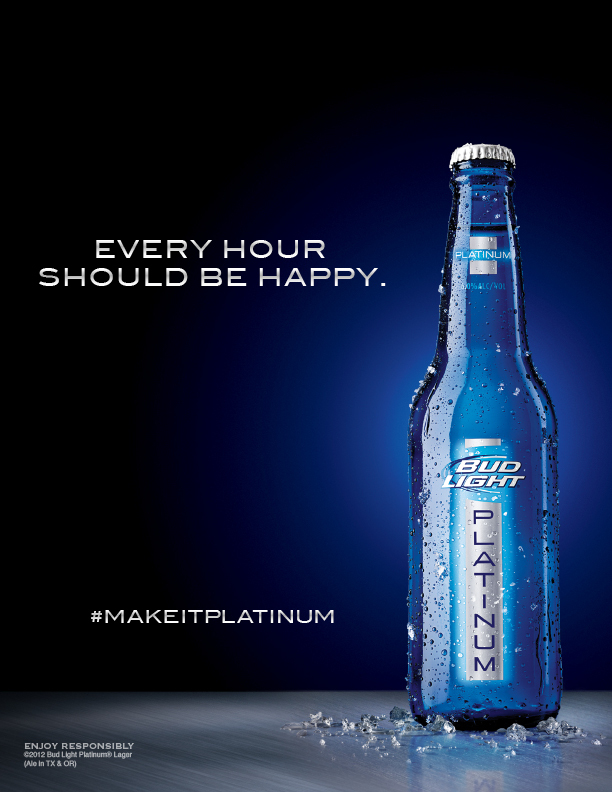 Bud Light Platinum went on to be the most successful brand launch in Budweiser history. Below is a sampling of the work done for the launch. 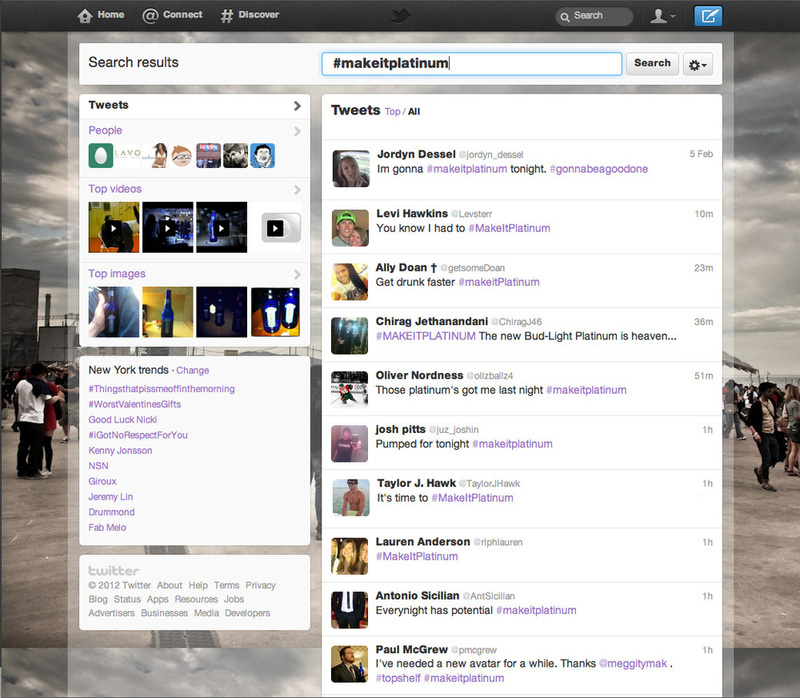 At the end of the Super Bowl spot, #makeitplatinum was used instead of a tag line. Working with our social group, we did this to spur online chatter about the brand. It worked. Twitter exploded with uses of the hashtag and images posted by consumers. Additionally, part of a major brand launch is support through both traditional and online media. A sampling of that work is below. 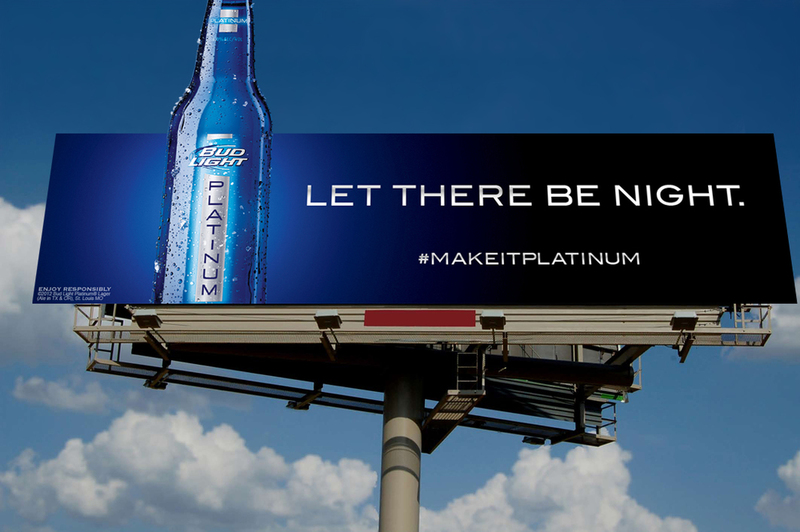 We produced print, OOH, and online, mostly to differentiate Bud Light Platinum from other brands in the Bud Light portfolio. Bud Light had traditionally been the sports/weekend/social brand, so our goal was to carve out a new territory for Platinum, positioning it as a more upscale, evening brand. The executions also carried the hastag "makeitplatinum" to aid in continuing the conversation online, brining the campaign full-circle.